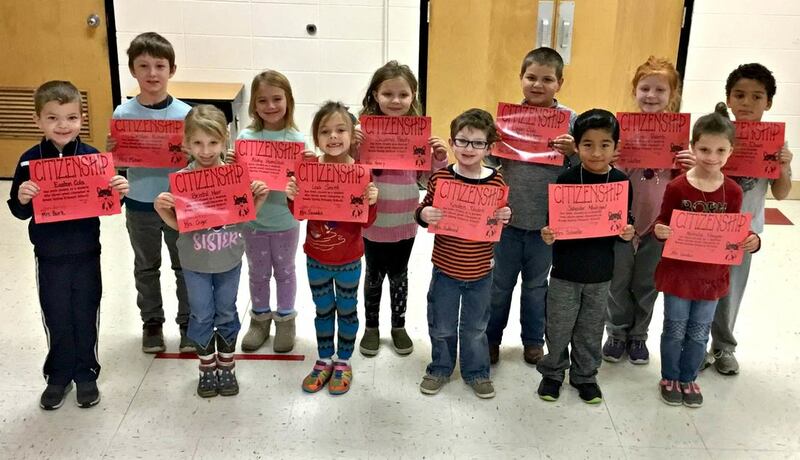 The character word for November was Citizenship at Reeds Spring Primary School. Pictured above, in the back, row, from left to right, are Declan Kidwell, Abby Hamilton, Susannah Beaty, Logan Cole, Alivea Roberts and Jeramiah Davis. Front row: Easton Cole, Bristal Hair, Leia Smith, Kaiden Toolen, Salvador Madrigal and Natalie Pinegar.